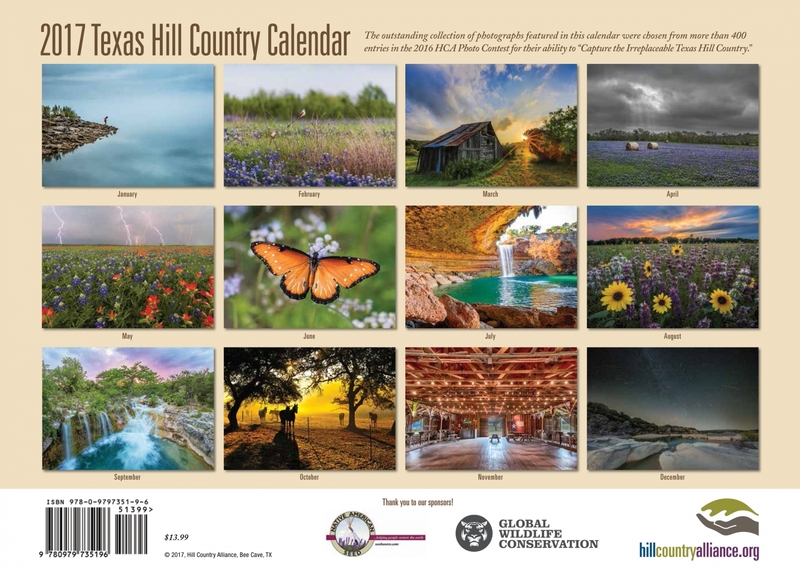 The Hill Country Alliance (HCA) recently released their 10th Texas Hill Country Calendar. Once again, the HCA calendar pairs stunning imagery of incredible Hill Country scenes with important messages about why we must actively work to protect and preserve all that we know and love about this region. 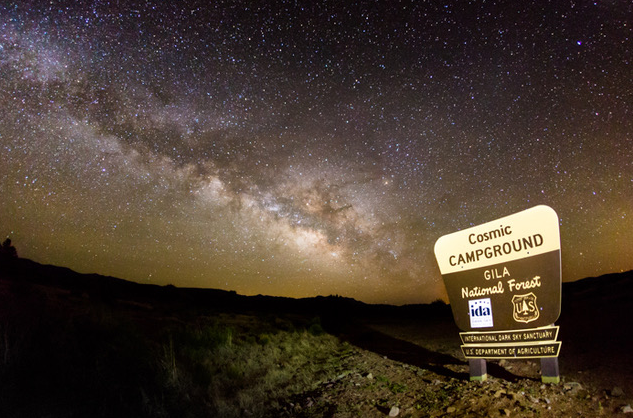 The calendar addresses issues including groundwater resource protection, native pollinators, land conservation, land stewardship, and night sky protection. 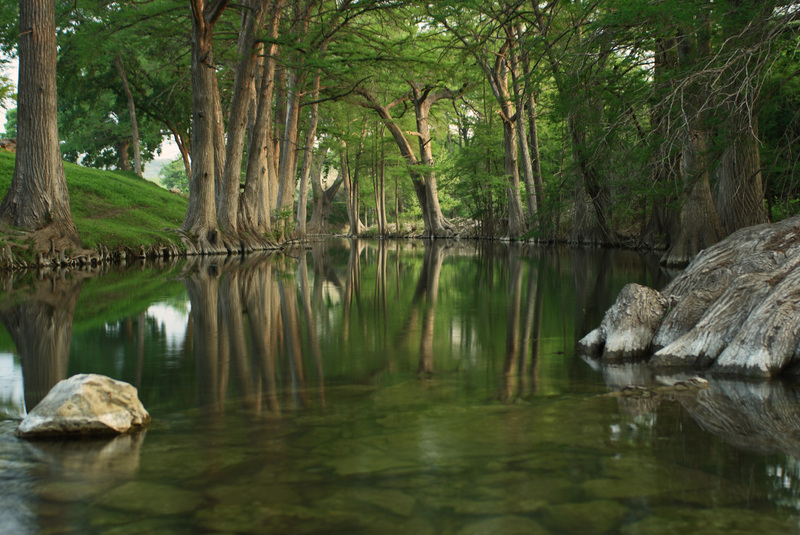 HCA hopes their calendar will inspire people to learn more and become involved in the issues important to keeping the natural resources of this beautiful and fragile region intact. 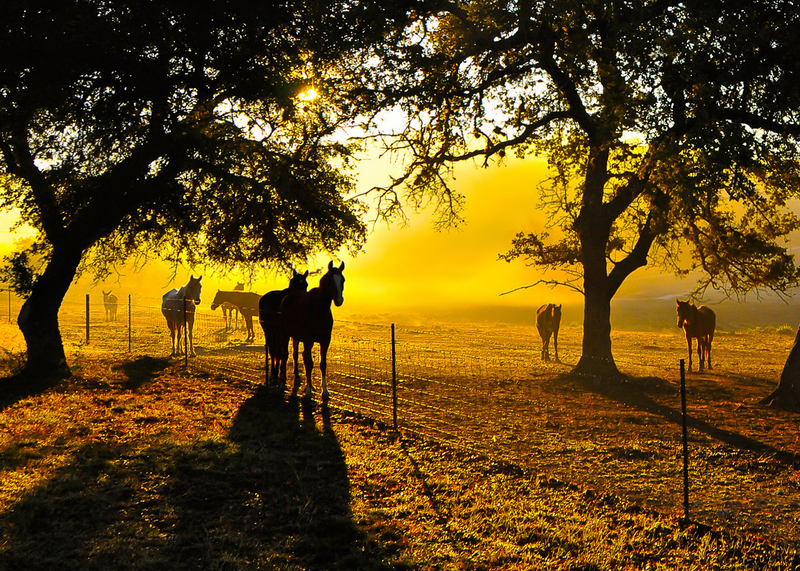 The photographs featured throughout the 2017 calendar were chosen from more than 400 submissions to HCA’s 2016 Photo Contest. 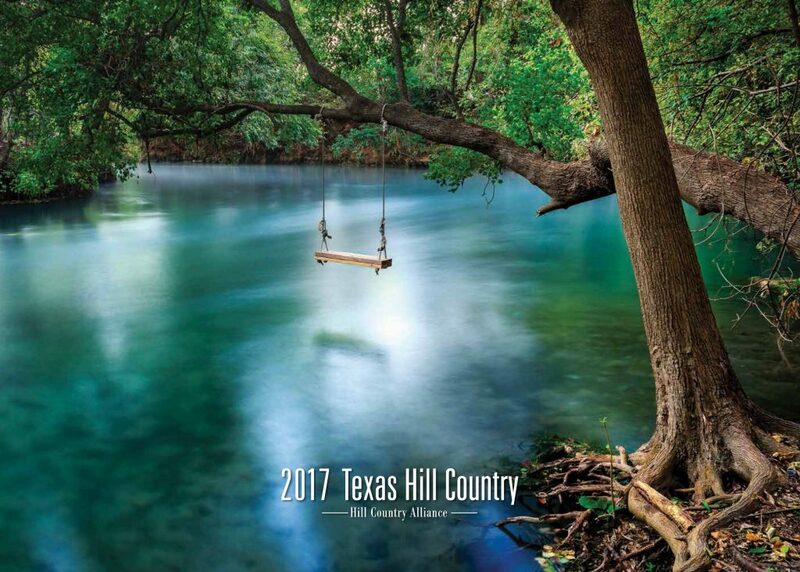 The Grand prize winning shot, Tree Swing on the San Marcos by photographer Phil Lewis, is featured on the cover. 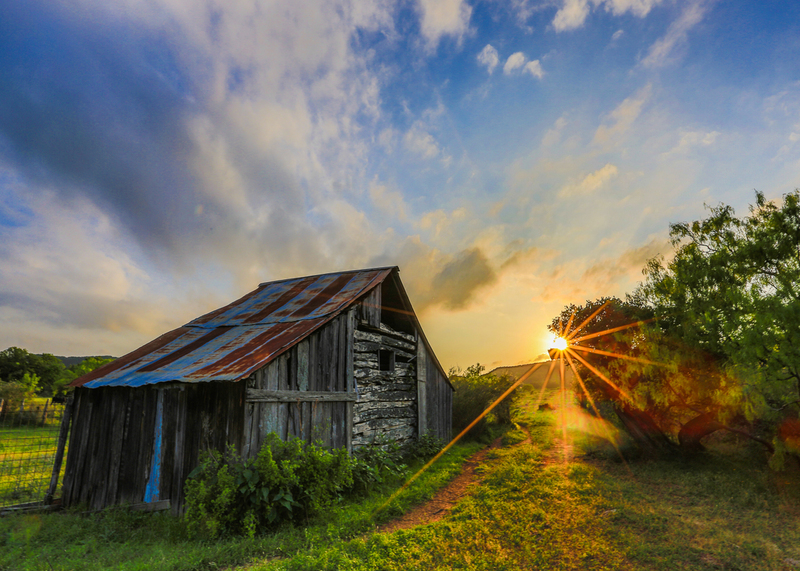 The annual photo contest calls for photographs that capture the unique qualities of the Texas Hill Country. 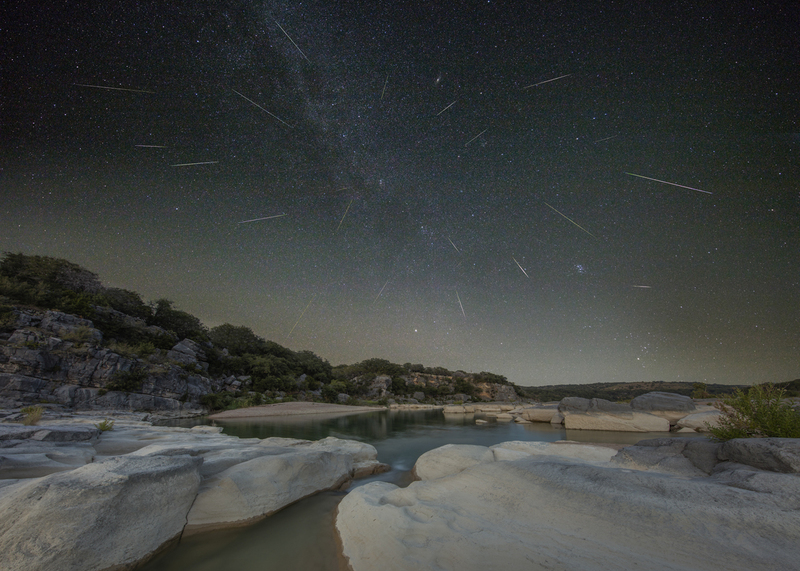 Other winners include: 1st Place: Perseids over the Texas Hill Country, by Rob Greebon; 2nd Place: Sunset in Gillespie County, by Albert Garcia; and 3rd Place: Hill Country Waterfall, by Mike Jones. The 2017 calendar is supported by Native American Seed (www.seedsource.com), a family owned native wildflower and grass seed farm based in Junction, TX, and Global Wildlife Conservation (www.globalwildlife.org), an international nonprofit focused the protection of endangered species and habitats through science-based field action. 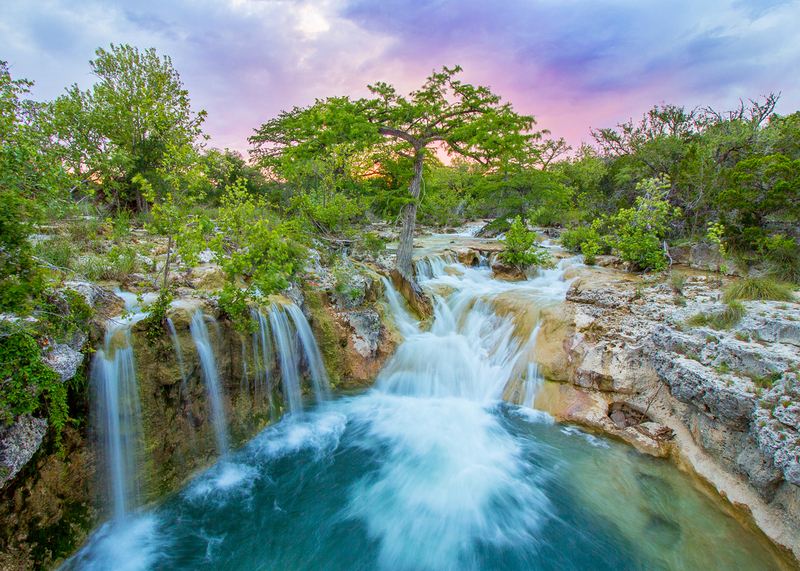 “We had some of the most incredible images we’ve seen in the ten years we’ve been running the photo contest, and I think we have the best calendar yet, “ said Katherine Romans, executive director of HCA.